A new season of JoJo’s Bizarre Adventure will begin in the fall adapting Part 5 of the long-running manga. The new theme song “Fighting Gold” will be performed by Coda who has previously performed “BLOODY STREAM” for the second half of the first season of JoJo’s Bizarre Adventure. The most interesting part about this new opening is that Neko Oikawa and Toshiyuki Oomori will be working together to write this song. You may be familiar with their work on “A Cruel Angel’s Thesis” the opening theme for Neon Genesis Evangelion. This is particularly significant because the two have not collaborated since Evangelion way back in the mid-90s. 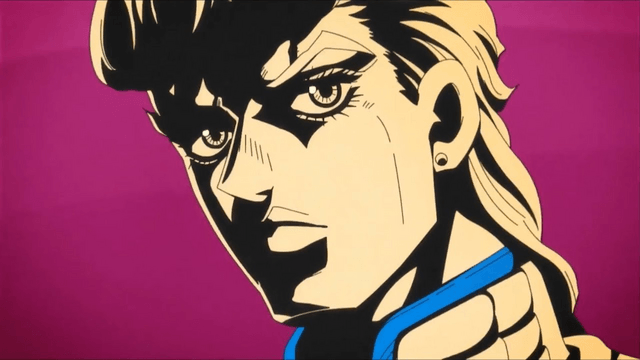 JoJo’s Bizarre Adventure: Vento Aureo is on track to premiere in October. You can catch up on the previous seasons on Crunchyroll.